This week at the Mobile World Congress (MWC) exhibition, Sony has unveiled its new Sony portable wireless server WG-C10, which will be landing in Europe during the summer months. The Sony Portable Wireless Server was first unveiled back in CES earlier this year and has been designed to provide users with extra storage space and battery power for mobile devices, such as smartphones and tablets. Watch the video after the jump to learn more about the Sony Portable Wireless Server and see it in action. 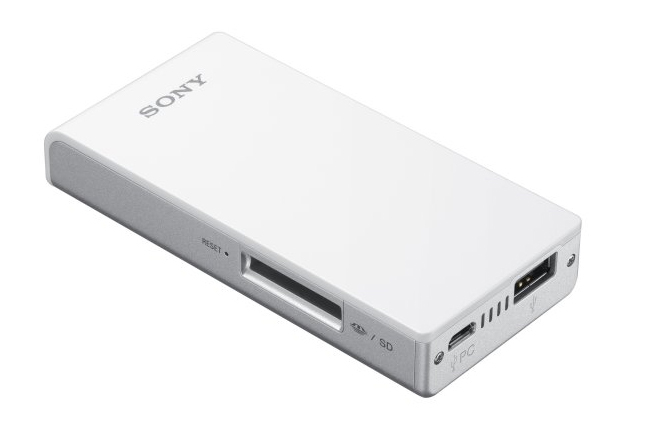 The Sony Portable Wireless Server offers 10 hours of continuous operation possible, and can be used as a extra power source for your mobile devices when required.